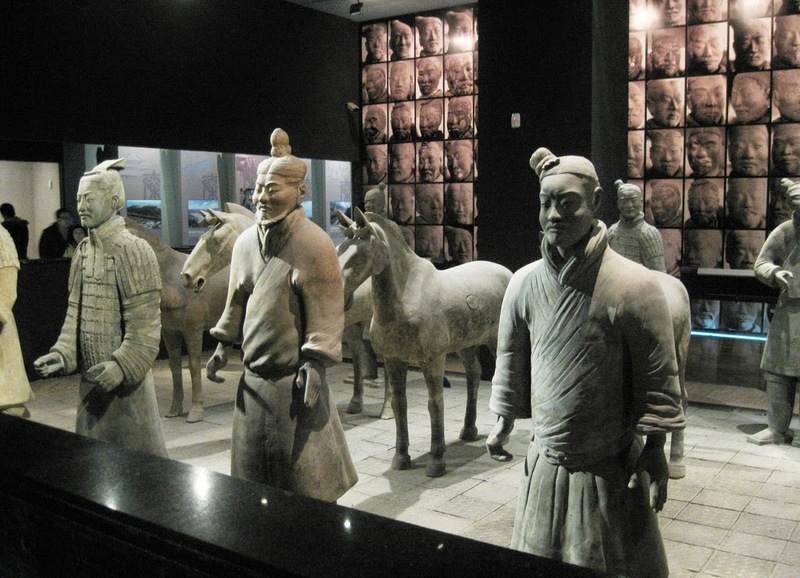 Museum of Qin Terracotta Warriors and Horses – The Historical Wonders! Terracotta Warriors are a priceless gem of ancient Chinese history consisting of 8,000 soldiers, 520 horses, 130 chariots, 150 cavalry horses along with lots of non military figures excavated from the mausoleum of Emperor Qin Shi Huang situated at Linton, Xian in the Shaanxi province. This is one of the most famous landmark tourist destinations and no one would like to miss this beautiful piece of art work. 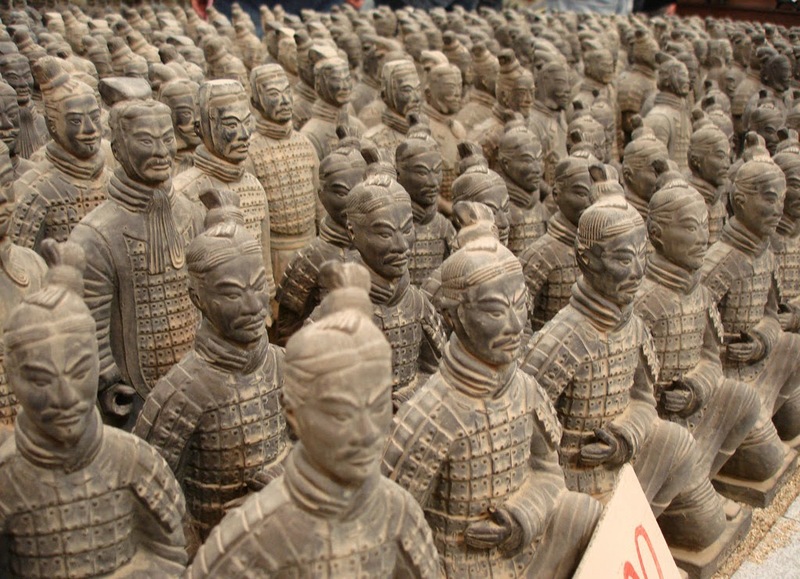 When some peasants of the area found archaeological important reminiscences while they were digging a well near the Qin emperor’s royal tomb in 1974, it was caught the attention of authorities and immediately archaeologists sung in to action and they excavated the huge platoon of Terracotta warriors. 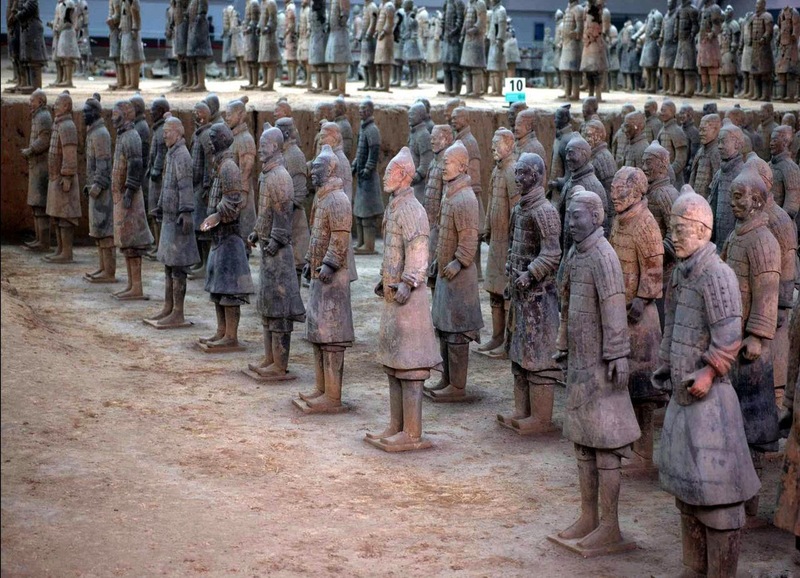 The actual finding of terracotta army was officially registered on 29th March 1974. Prior to this date also there were occasional reporting of terracotta statues and other ancient historical reminiscent such as potteries, roofing tiles, masonry works, bricks etc., were prompted the Chinese Archeologists to engage seriously with the findings and is official confirmed beyond any doubt these were the works of Emperor Qin Shi Huang and associated with Qin Dynasty ruled the prefecture during 211-206 BC. It is believed that Emperor Qin Shi Huang, who crowned as the King at the age of 13 in BC 246 started working on the mausoleum. It would have taken 11 years to complete the mammoth project. 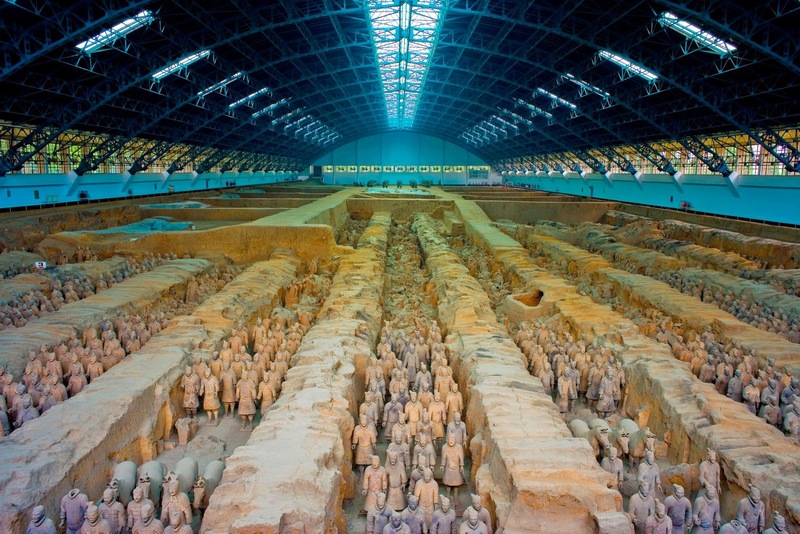 All the terracotta warriors, treasures and precious objects had also buried along with the King after his life. The terracotta warriors, cavalry horses and Chariot are replicas in life size resembling to the real military force of the emperor what he had on those days. The museum is spread in an area of 16,300 square meters. The museum is further divided in to Pit No. 1, Pit No. 2 and Pit No. 3. 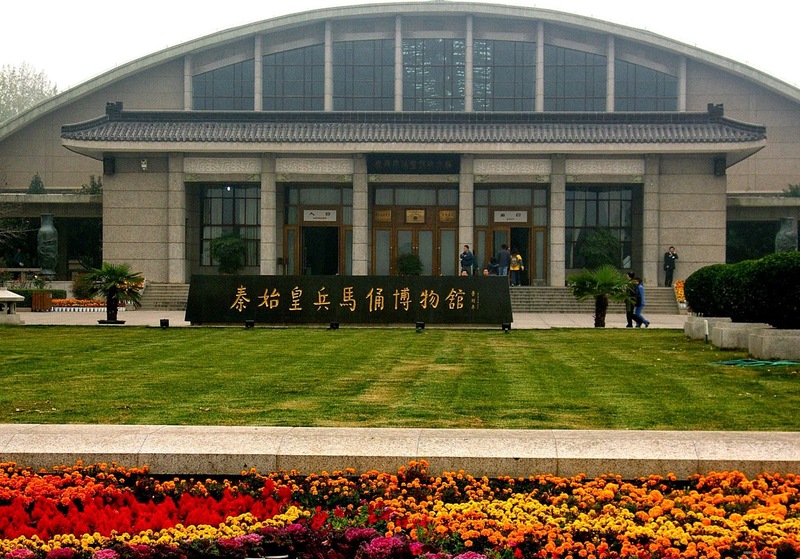 The museum is opened to the public on 1st 1979 during the China National day. In the first pit, the warriors are displayed in war formation and on their rear side the war chariots. The Pit No. 2 project was started on 1976 and opened to the public in 1994. This pit is 20 meters North West to the No. 1 pit. There are about 1,000 foot soldiers and 90 war chariots. The chariots are made of wood. The third pit project started on 1976 which is 25 meters North West to No. 1 pit. This pit looks like a command center of the entire war formation. There are 68 warriors and one chariot and 4 horses in this pit. It opened for public in the year 1989. Combing together there about 8,000 terracotta soldiers, various chariots, horses and weapons are part of the wonderful arts works. Transportation to the museum site is very much convenient due to well connected road and rail network. Tourist can easily reach to Xian Xianyang International Airport and can board to taxi or shuttle bus services. There are frequent bus services from the Airport and Xian Railway station which costs only CNY 25 per head. Tourist can board on special tourism buses to the museum. Taxi service from Airport to the museum will cost CNY 200. Tourists can also get bus services from Xian North Railway Station bus terminal and Linton District. 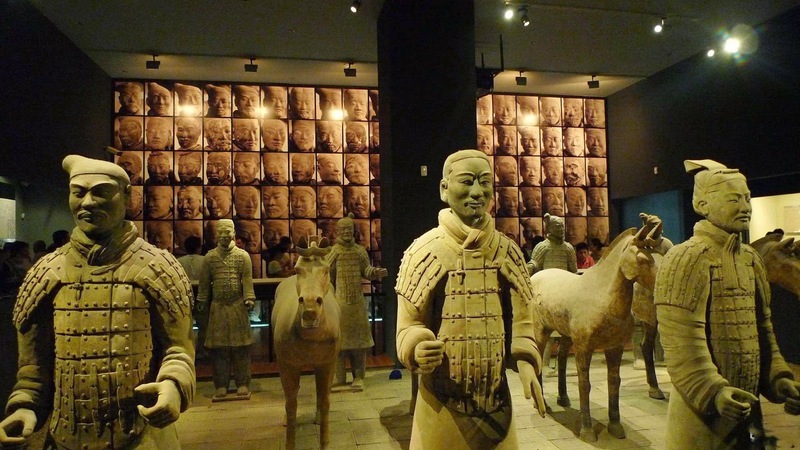 There are 30 round the trip shuttle services between Terracotta Warrior Museum and Qin Shi Huang Mausoleum. This trip free for people having entry ticket. The entry ticket charge is CNY 150 per head during March to November and CNY 120 per head during December to February. English and Chinese guide service is available for CNY 100. Ticket counters will open from 08:30 am to 17:00 pm during March 16 to November 15 and 08::30 am to 16:30 pm during November 16 to March 15. This is indeed one of the spectacular showpieces of Chinese history. Never miss to visit this museum.